Last fall, while I was on a walk with my children, my son asked me if I loved him more than myself. I thought for a moment and said no. He was shocked that I didn’t say yes, so I explained to him how I felt. I told him that of course I loved him and his twin sister so much and would do anything for them. I also told him that I loved myself just as much. I explained to my children that in order for me to love them as much as I do, I have to first love myself. I need to be healthy and whole to care for them. I need to show myself grace, forgiveness, and compassion so that I can show it with my whole heart to others. I told them that when they love themselves, they see and accept themselves as they are. They believe in themselves. They respect themselves and in return choose friends that respect them. They are kind to themselves and don’t tolerate people that are unkind to them. Since February is the month of love, I thought I would dedicate this month’s blog posts to self-love. Self-love is definitely something that I started focusing more on as I’ve gotten older. I’ve always embraced the concept, but I wasn’t super active with it in my younger years. Now, it is something I practice daily. I practice self-love not only for myself, but to teach my children what it means to love themselves. Self-love is action taken that supports and honors your entire being, physically, mentally, and emotionally. The dictionary defines it as regard for one’s own well-being and happiness. When you are mindful and present, you become more self-aware. You become aware of how you feel, of what you want, and what you need. This enables you to say yes to things that align with your values and goals and say no to everything else. Self-care is when you meet the needs of your body, mind, and soul. You eat foods that are healthy for your body and soul. Exercise and move in a way that feels good to you. You get enough rest through sleep and other relaxation methods. Perhaps you meditate, journal, and express gratitude. You are an amazing person that deserves respect and love. Do not tolerate people that don’t treat you well. Be choosey with who you spend time with and cut out toxic and manipulative people. It’s important to set boundaries and learn how to say no. This is something that I struggle with all the time. I know that I’m miserable when I say yes to activities that I wanted to say no. Life’s too short to be miserable. Also, your miserable vibe is felt by others and there is no reason to make others miserable too. Self-love is being able to forgive yourself and show yourself compassion. When I noticed I’m being hard on myself, I ask myself if I would be this hard on my children if they were in the same situation. Be kind to yourself and remember that growth happens through mistakes. When you live intentionally, you act in a way that supports those intentions. I live with the intention of growth. When I come across a problem, I always seek a solution. Think of a few intentions on how you would like to live your life. Then everyday spend a few moments reminding yourself of those intentions. You’ll be surprised at how the universe works to bring you opportunities to live intentionally. This is a tough one. I have to remind myself this all the time. When you start to compare yourself to others, keep in mind that you don’t know their story. You don’t know what they had to endure to get to where they are. Bring the focus back to you and honor your story. Honor your challenges, struggles, and hardships. Also, focus on gratitude. Gratitude puts everything into perspective. 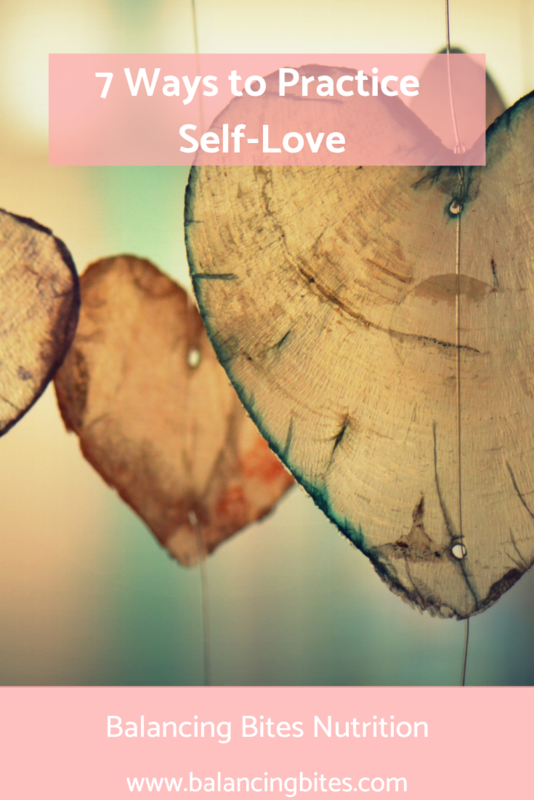 Begin by focusing on one or two of these self-love actions and soon the other actions will either start falling into place or will be easy to implement. After you have practiced self-love for some time, you’ll start to appreciate and accept yourself more and encourage others to do the same for themselves. You’ll also attract people that share your values and support you fully.